When they woke up this fateful morning they were just a bunch of soldiers about to go on a routine patrol. The same thing they did yesterday and the day before and almost everyday for months. The expectation of something happening had faded away long ago. They were not complacent in any way, after all, it was Afghanistan and they were at war but none of them had fired a shot or seen any action in a long while. This was a good thing. So they dutifully patrolled day in and day out enduring the desert heat, the dust, and the parched air. Although they keep keen eyes surveying the land as they rode along in the armored HMMWV (Humvee) their thoughts were of home and family and getting back to them when their deployment was over, which was very soon. 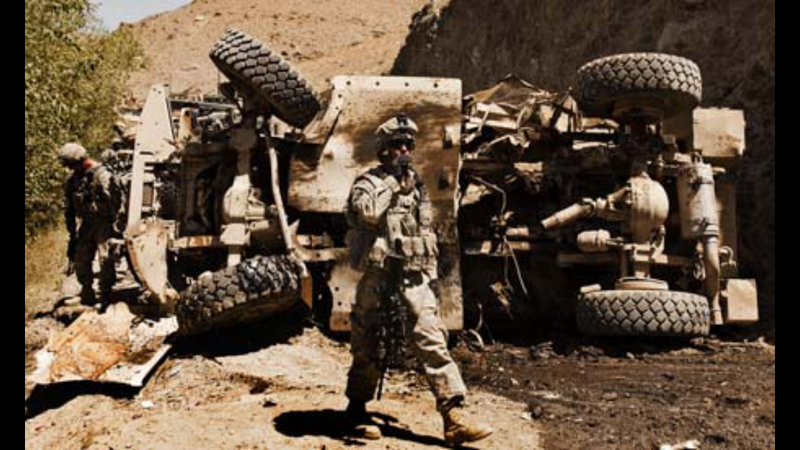 The Humvee left a thick trail of dust as it sped along on the barren sandy road that led away from base camp. The sound of the well tuned engine was accompanied by all terrain tires digging into the layer of desert sand that lay atop the dirt road. Suddenly, there was no sound at all. The horizon rolled down and to the left then disappeared in a cloud of dust and debris. Images of loved ones from back home were vivid in their mind’s eyes. The soldiers were assaulted by loose gear bouncing around in the vehicle. The sound of nothing had quickly change to intense ringing. Ringing so loud that they could not hear anything else. An Improvised Explosive Device had detonated beneath the vehicle as they passed over it. Instinctively, each man ran through a bodily inventory in their head checking for damage. Only minor bumps, bruises, and superficial cuts. They struggled to dig out from beneath the gear. The vehicle lay on its side and both front and rear windows were still intact so they had to climb up and out of the driver side windows, which fortunately were rolled down, because the doors were crumpled and jammed shut. The men quickly armed themselves and secured the area the best they could while one of them radioed for help. No insurgents seemed to be in the area. Reinforcements on the way. The tension was still high and would remain so until help arrived from base. Looking at the toppled vehicle that could have easily been their tomb, the men were reassured that they were part of the greatest army the world had ever seen. The under armor was severely dented. Metal was twisted and torn. The front wheels pointed in opposite directions and fluids leaked from everywhere. A Humvee died so that men could live. These brave troops will not die on foreign soil the victims of terrorists who plant bombs on the side of roads in the dark of night. They will be reunited with their loved ones. Some of them will return to battle time and time again answering the call of duty to protect and serve their country. They are American Heroes!